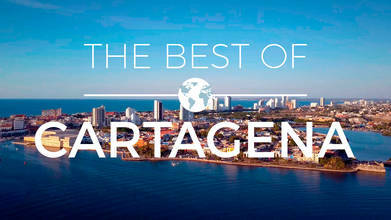 WorldMoments created this stunning video of the great Colombian city of Cartagena on the Caribbean Sea. Founded in the 16th century, it was once the most important port in the mighty Spanish Empire. While it's still an important seaport city, it now also draws a large tourism business, attracting travelers with its Miami-like feel but with almost 500 years of history as well. The video features amazing views of Bocagrande, Castillo de San Felipe, Manga, the Centro Historico, and more.